Have you ever wondered why none of your students respond to your emails anymore, but they respond to Facebook status updates within minutes? 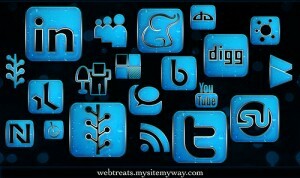 Social Media is the new face of the Internet, and Gen Y students are plugged into social networks 24/7. The Social Media category of Staffhacker aims to help you understand and use the major social networks, and understand their impact on Gen Y. To get started, sign up for Facebook, Twitter, LinkedIn, and get started with creating a Facebook Page for your ministry. Don’t worry if these things sound oppressive; there will be step-by-step tutorials available for each network in the coming months. Category: Social Media | Tags: introduction | Permalink | Post a comment | Trackback URL.